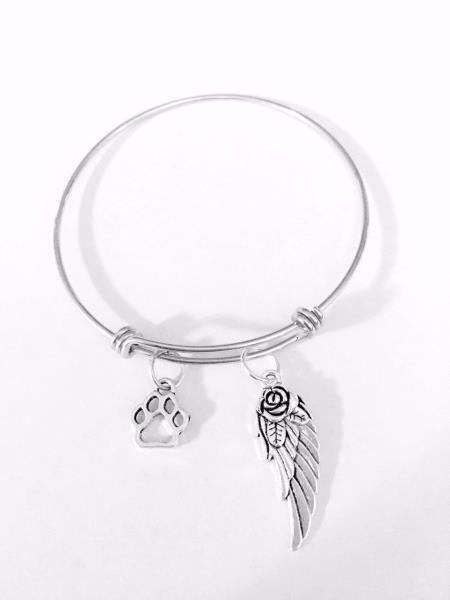 The paw charm is silver tone and approx. 1/2" (hollow). Wing charm is approx 31mm. Charms and jump rings are metal alloy.